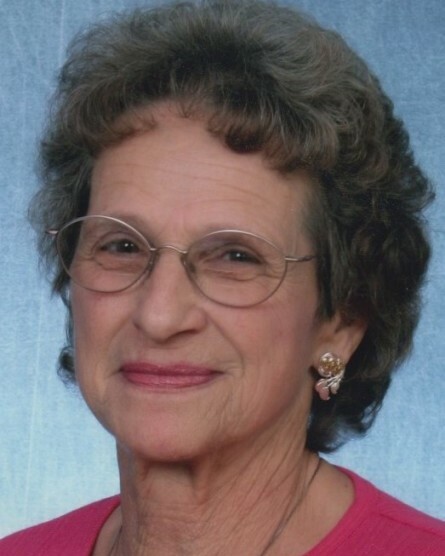 Wilma “Willie” Marie Rodgers (maiden name Helfrich) of Loveland Colorado peacefully passed away with family by her side on Sept. 13, 2018 at the age of 81. She was born Oct. 19, 1936, one of 6 kids born to George and Dorothy (Monahon) Helfrich in Sterling Colorado. The family then moved to Fort Morgan for a short time and then to Boulder Colorado for the largest portion of her life. She attended Sacred Heart School and Boulder High School where she met the love of her life, Charles “Chuck” D. Rodgers at the Roller Rink in Boulder. Wilma was roller skating and Charles was girl watching. They married in 1954 in Boulder Colorado. They built their home in Boulder themselves and lived there for 52 years. In 2011 they moved to Loveland Colorado. Wilma worked at several jobs outside of the home thru her life, but her number one priority was her family when the kids started coming along. Daughter, Linda Rodgers Disney, and son, Steve Rodgers, came along and the family fun began. Many years of camping just about every weekend, with some fishing here and there. Wilma also loved going country swing dancing with her husband, Chuck. She was preceded in death by her parents, and three brothers. Wilma is survived by her husband, and two children, along with grandkids Clayton Nelsen and Dena Nelsen and great grandkids Lonna, Colton, and Sutton Nelsen. Also, older sister Pat Woods and youngest brother Arthur Helfrich.